Race is not permanent; it is not written in stone but on the hearts of humanity. We need only lose faith in it, lose heart in its prejudicial convictions. 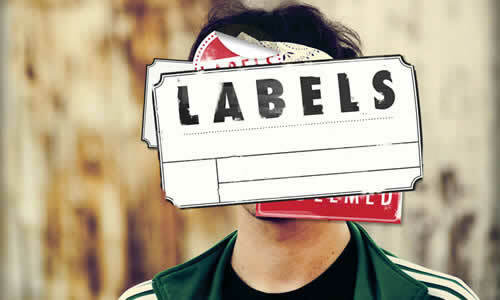 Patrick Lindsay says that labels are “a one- word summary of people’s lives.” One word. My name does not even sum up who I am and all race gives me is one word: black/ brown/ beige/ red/ yellow/ white. That’s it. That’s all that we are and for all of the stereotypes associated with these social colors, none of them say much about us. Labels are not permanent and are transferable. They are sticky because something has to be attached to it before it can attach itself to you. They are not natural; they do not come with our humanity. We can take it off. The labels of race are actually layers, layers of lies and hurt and shame. This is why there is no healing or depth or lasting meaning in racial identities. It’s as superficial as the skin it seeks to describe and ascribe worth to. No, I will no defend a label or define my life based on something so socially antagonistic, so spiritually disagreeable, so personally unnecessary. I don’t need race. I don’t need society’s stickers. And you don’t either. It’s easy to let go of the racial identities that have been attached to us. These labels, they peel off.